Unsafe stairways. Loose wiring. Mold. Rodent infestations. Poor lighting. Obstructed chimneys. Icy sidewalks. These are just a few of the potential hazards that can cause injury at an apartment complex. Residential property owners and managers have a legal responsibility to take reasonable steps to ensure that their properties are safe for tenants and visitors. 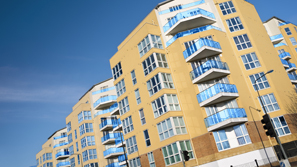 That doesn’t mean a landlord can be sued over every injury that occurs at an apartment complex. Tenants and visitors must take sensible precautions and avoid unnecessary risks. But when landlords cut corners on safety, the apartment liability lawyers at The Law Offices of Frank L. Branson can help accident victims. We’ll investigate your case to determine who was responsible. In many instances, the property owner or manager will attempt to lay blame on the victim by claiming improper behavior or recklessness. But if the landlord was indeed at fault, our legal team will work to build a compelling case to help you recover medical costs, lost wages and other damages. Using our cutting-edge technological capabilities, we can create demonstrative audio-visual evidence aimed at making a powerful impression on a jury, or on our opponents. To learn more about our experience in apartment complex related matters, we invite you to contact the firm here.